People with ALS often explore alternative or off-label treatments for ALS, which they learn about via different internet-based platforms and social media. Unfortunately, such descriptions may be inaccurate or flawed, leading to disinformation and confusion among patients. ALSUntangled is a social media based tool lead by clinicians and scientists designed to provide unbiased and comprehensive reviews of such treatments and thus allow patients to make more informed decisions about them. 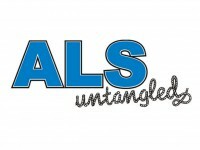 ALSUntangled was founded by Dr. Richard Bedlack, Director of the Duke ALS clinic in Durham, NC, and is currently sponsored by The Motor Neurone Disease Association and The ALS Association. Reviews are published as open-access articles in the journal Amyotrophic Lateral Sclerosis and Frontotemporal Degeneration and are also available on the ALSUntangled website.